Technology in prisons; untapped potential? Our learner focus groups have concluded with a couple of visits to prisons, which have been particularly interesting. 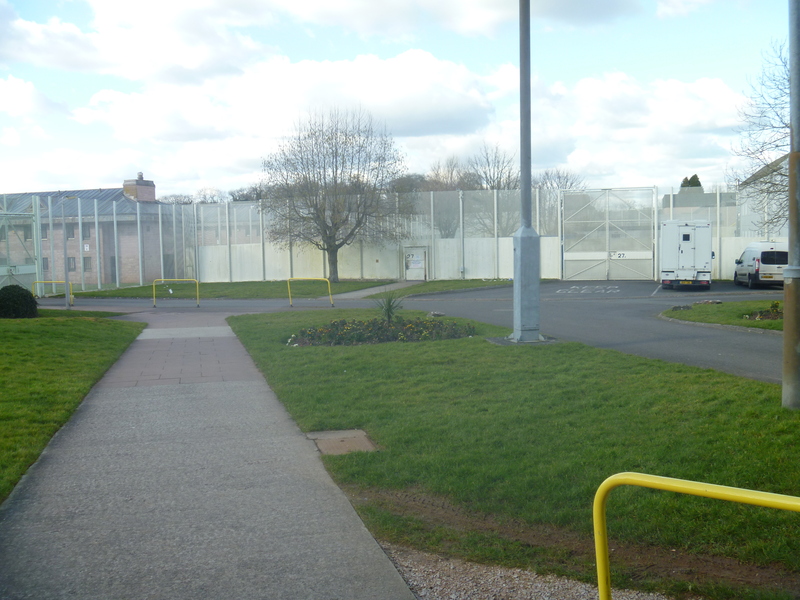 Shotts prison near Glasgow is a Category A, high security establishment, while Channings Wood in Devon is a Category C: not remotely open but perhaps a bit more relaxed in terms of security. We were struck by the inconsistencies in prisoner learning, varying by category, by governor and by the organisations that run them – HM Prisons, Serco and Sodexo. The prisoners at Shotts impressed on us that they do not like the term ‘offender learning’ or being called ‘offenders’. They explained that they had indeed been offenders when they had committed a crime, but that they are no longer offending. They therefore prefer the term ‘prisoner learning’ and were very keen that our research should make this point. Shotts makes no use of Virtual Campus, a VLE available in many prisons, yet prisoners seemed to have plenty of access to IT, using it to produce 2 magazines: Snapshotts (relating to Shotts alone) and Stir (http://stirmagazine.org/), a really impressive creative arts magazine with features contributed from 7 different Scottish prisons. Before we met the learner group, we spoke to the teachers in the staff room, where morale seemed high. They were, however, concerned that too many of the cards in our card sort exercise had no relevance for the internet-deprived prison environment. While there was some truth in this, the prisoners took it in their stride and did not let it inhibit our discussions at all. It was clear, however, that self-directed learning is difficult without access to the internet, so teachers are thrown into a more traditional style as the sole source or conduit of information. One teacher felt staff themselves were less comfortable with mobile phone use because they rarely carry them round, for fear of accidentally bringing one into prison (a criminal offence leading to instant dismissal). The one area where students felt able to use their own initiative in learning was ICT and magazine design. 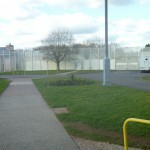 I’ve just been watching ‘Her Majesty’s Prison: Norwich’ on ITV, where it was mentioned that “Prisoners who maintain contact with family are 6 times less likely to reoffend.” It struck me that the suggestion made at our focus group in Channings Wood about using Skype to maintain family contact could be an effective way of tackling this problem. “technology offers huge opportunities, both for easier phone calls and the possibilities of video calls. We know there have been successful trials of putting phones in cells. Prisoners, their families, and even officers agree that it has been beneficial, so it would be a good idea to roll it out. Prisoners want to phone home in the evening when families are in. In many prisons, prisoners are locked in their cells in the evenings and pressure on the few ‘wing’ phones is enormous. There are terrible queues, leading to short conversations. Posted by Ellen Lessner on April 11, 2016 in Uncategorized. Thank you for sharing these valuable comments and insights. It would be great to encourage collaboration and innovation in this area – one where the benefits to learners would be immense. I read this with interest. It paints a realistic snap shot of what is happening in UK. There are small pockets of ‘innovation’ and can be best observed in other countries at the moment. I have been researching media and digital technologies in prison settings for a while now. Much have my work has focused on the user experience but more recently has included staff experiences of this too. I have also published on this topic. I would be very interested to learn of any new innovations taking place our prison/secure settings. I don’t know whether it’s relevant or helpful but the non-proprietary OpenSimulator (aka OpenSim) provides a basic desktop VR environment that can be run on a server inside a firewall, locally on a PC, from a USB key and, at a pinch, from a Raspberry Pi. It sees some use in colleges and higher education although the amount of packaged courseware is limited. However, environments can be saved and reloaded with relative ease. There is also support for NPCs and the environment is both scriptable (it uses the same language as Second Life with extensions) and extensible. Yes I agree, I used Open Sim when I presented at the Virtual Worlds Best Practices in Education convention last month and thought the method you referred to above would be an ideal way of integrating VR into the restrictive prison environment. If funding became available to support this initiative I would be very interested in collaborating. Sad to hear that the VC is not being used North of the boarder. The Virtual Campus is a fantastic tool that I have used over the last five years. The content is developing and most importantly the enthusiasm to use the VLE. What is really exciting are the learners creating and developing the content. Innovation!! !